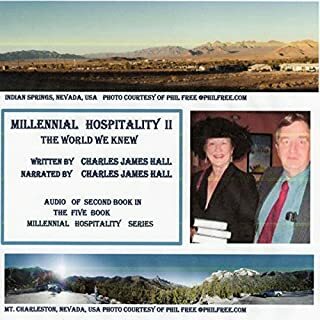 Millennial Hospitality II is an etiquette book for the 21st century. It suggests how we might interact with aliens and answers many questions people had after listening to Millennial Hospitality. The biggest lie in history is about to be shattered. UFOs are real. In late June of 1947, three extraterrestrial craft were downed outside Roswell Air Force Base. Many more followed, revealing dozens of ET species and a Rosetta Stone to a new physics, an energy generation and propulsion system responsible for interstellar space travel. This new system could have easily replaced oil, gas, coal, and nuclear plants - and with them, the entire geopolitical and economic order on our planet. But a cabal of bankers, the military-industrial complex, and Big Oil stopped it. We have been lied to. 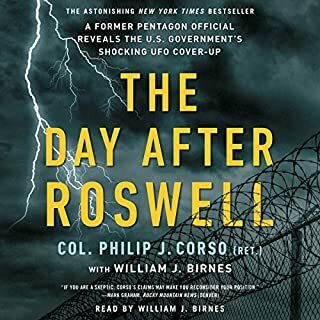 And now, 70 years after Roswell, the witnesses to that lie have come forward to testify in a must-listen book that will shock the world. I have followed Steven Greer from his movies and the great work he does investigating the hidden projects, ufos, free-energy, etc. The book goes in-depth with all of those subjects and then some. Information in the book is both inspiring and stunning all at the same time. 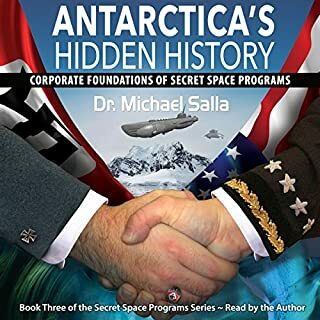 Very knowledgable information about the secret hidden projects that will be shocking to many people on how deep the rabbit hole goes. 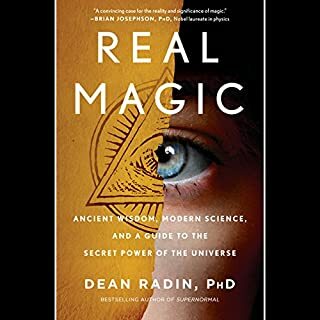 The secrets these people are keeping from us can be a bit upsetting about how much humanity can benefit from these hidden secretive technologies but with Steven Greer and books like this one, it will open the eyes of many people and lead us to a brighter future. 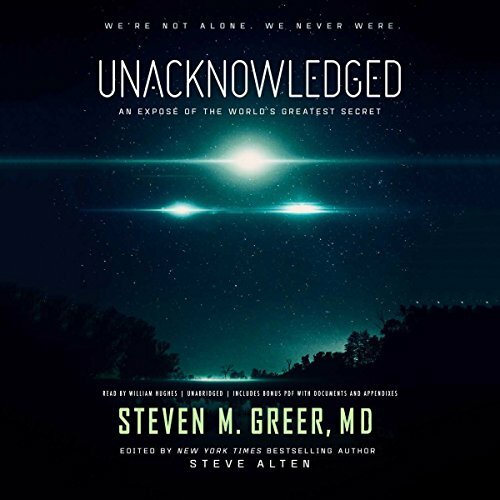 Would you consider the audio edition of Unacknowledged to be better than the print version? If you are into the possibilities that the human race is not alone in this big universe and that events like Roswell, the Phoenix Lights, and other such things are probably more real than fiction, and that certain factions within the Government would truely go to any extent in keeping people and their secrets quite (and this coming from me, a formal Gov. 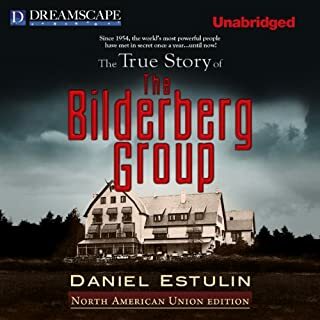 contractor which held TS clearances), than ya, I think you'll really enjoy this book. I thought the reader did a great job in capturing the authors enthusiasm of what he really wanted to bring to the reader. 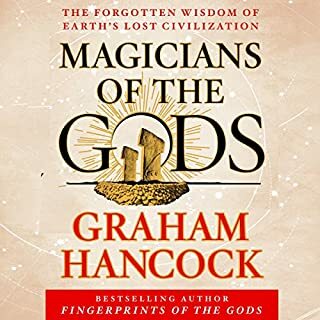 There are many, many interesting "tidbits" in this book, but probably one the most interesting "tidbits" if you will, is the amount of information the author presents. So much so, that in the decades I've been reading mostly for personal amusement about different things of "UFOs", Government secrets and yes, even hush, hush things I heard but wasn't supposed to hear during the years of my active contract work with the Gov when I held a TS clearance (and have never heard anywhere else), this has been the only books I'm aware of which skimmed, if not touched on all those things I've heard over all those years. A great book and a fun, if not a fascinating read. It is incredible to me how so much of this information is kept secret and away from the mainstream. It is, however, inevitable that this information will free itself from those chains of secrecy. 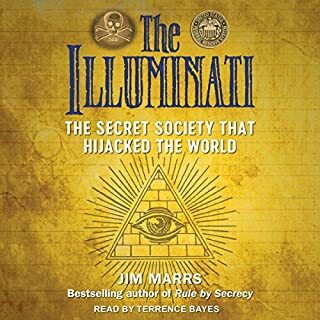 I must warn all readers and listeners this book will shift your paradigm, it brings you to a place that you will look at the world completely different. You will see humanity in a new light, it destroys all our differences and unites us with an eye on the future. 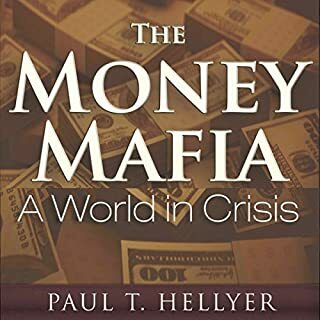 This is an absolute must read for every single person on the planet. It will enlighten you, it will frighten you, it will empower you and bring you to a new level. 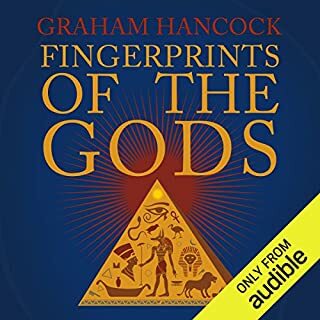 This is my third time listening/reading this book as I write this review. I was compelled to write this review, it’s the first one I’ve ever written but this book is that important. 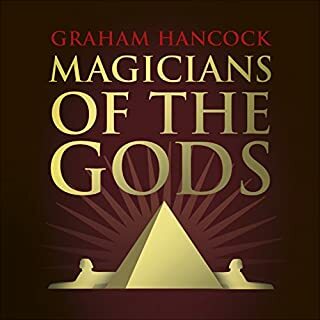 I have read, listened to, and/or watched nearly every single book, video, and documentary on the alien/UFO subject and although a lot of the same stories are often told and retold, this book shares new details and information regarding those encounters as well as many brand new tales from very reliable witnesses. 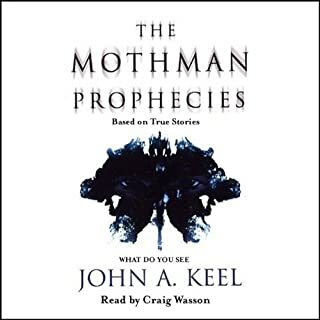 The narrator does a fantastic job relaying the stories and the subject matter will certainly hold your interest. Dr. Steven Greer has written a solid book which shares so much more than mere conspiracy theories. Check it out, you will be inspired. I BELIEVE! Thank you Dr. Greer for this exquisite, eye opening revolution! I wish there was a larger platform to get this to every single individual around the world. We need peace, we deserve peace, and we will one day evolve and prosper!! Impressive testimonies to be spread all over our planet. Everybody needs to know. Let's re-build it from scratch. Thank you Dr. Greer ! 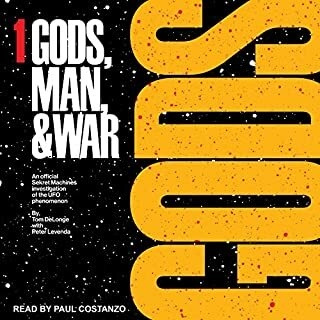 So far one of my favorite audiobooks, I've listened to it five times already. Its a good companion to the video documentary.